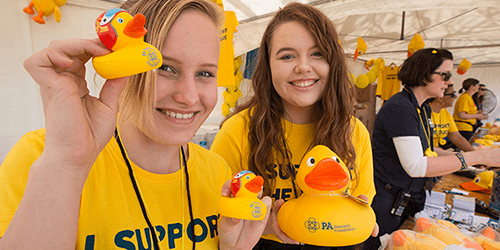 Australia’s Biggest Duck Race for Cancer Research will return to the banks of the Brisbane River for the 12th consecutive year. 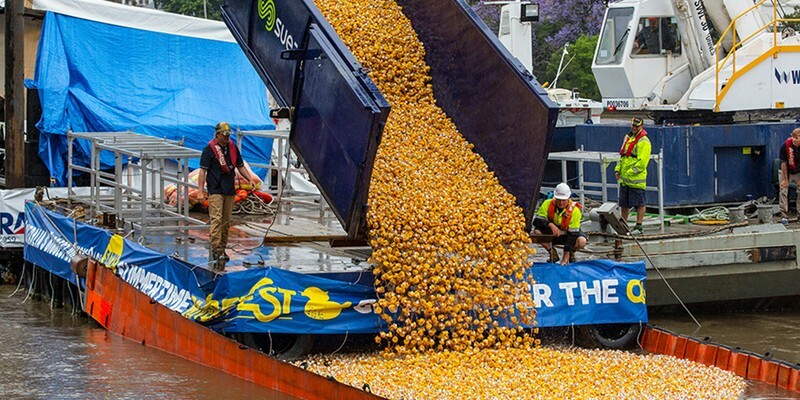 40,000 rubber ducks will flock to water for the show stopper event in the ‘race that quacks a nation’, with the first beaks over the line winning their lucky ticket holder a car, $25,000 cash or a boat. The fun-filled family day will also feature kids’ rides, shows and activities, live stage music, delicious eats from the Regatta Hotel and Ducks galore! The event is the PA Research Foundation’s flagship fundraiser for cancer research. Sadly 1 in 2 Australian's will be diagnosed with cancer before the age of 85. This is a disease which does not discriminate, and the PA Research Foundation is committed to supporting break through research to improve diagnostics, preventatives and treatments for patients faced with cancer. To support this fundraising event, you can purchase a single duck in the race for $5 or better your odds with a whole flock! Please visit the Duck Race website for event information or to purchase tickets. Payment required. Gold Coin Donation entry. Enter a duck in the race for $5!